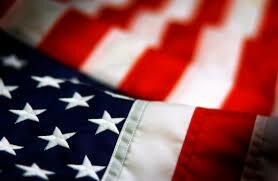 Hamilton schools to observe Veterans Day - Hamilton School District. Hamilton School District students, staff and families will observe Veterans Day with a variety of activities at school. Willow Springs 4K students, staff and families will honor veterans Nov. 8 with programs beginning at 10:15 a.m. and 2 p.m. that include a “wall of bricks” highlighting the names of veterans who are part of the Willow Springs family. A program including stories, songs and presentation of flags to veterans by their 4K child will mark the occasion. Students are invited to wear red, white and blue for the program. Lannon Elementary School will host a Veterans Day and “To Honor America” performance Nov. 8 at 10 a.m. for students and the community. The event will feature patriotic songs and a parade through school to celebrate veterans and those serving the Armed Forces. Lannon will continue its more than 20-year tradition of creating a thank you banner and writing thank you letters that will be delivered to the Veterans Administration Hospital in Milwaukee. Students will also write letters to future Wisconsin Honor Flight honorees. All students and staff will wear red, white and blue for a program to honor veterans Nov. 8 at 9:15 a.m. in the gymnasium with students performing songs for honored guests and visitors. Maple Avenue Boy Scouts will conduct the Presentation of Colors. The Hamilton High School Choir will perform. Coffee and treats will be served at a small reception following the program. A Veterans Day themed display created from red, white and blue paper stars decorated by students will be in the school lobby. Marcy Elementary School will host its annual Veterans Day program Nov. 8 beginning at 9:00 a.m. A slide show with pictures of veterans who are relatives of Marcy students will be shared with students as they enter the gymnasium. Fifth grade Boy Scouts will present the colors. Fifth-graders will explain how respect is shown to veterans. Wally Kangas, who was in the Air Force during the Vietnam War, will be the featured speaker at the assembly. Marcy students will raise money to send veterans on future Honor Flights and make posters that will be given to the Sussex Veterans of Foreign Wars. an Armed Forces medley in which veterans in the audience will stand to receive student applause. “Taps” will be performed by a Hamilton High School trumpet player Nov. 12 before the daily announcements. Athletic-Activities Director Michael Gosz will read a commemorative passage about the historical significance of Veterans Day which will honor the brave service men and women. A moment of silence will be observed. Hamilton High School Choir members will perform at Maple Avenue Elementary School.